"Joined January this year just joined as I needed motivation to get myself fit, not only am I getting fit but it's an amazing feeling to be part of an outstanding group - Master Rolls is so supportive and inspirational with his attitude and enthusiasm to gives you the drive take that one step further - I have just gone from the basic course and up for the Black Belt Leadership and can not wait to start in my journey to becoming a black belt - and at 60 years, You are never to old to set new goals and achieve"
"My daughter Kelsey started at FMA back in October and she is enjoying it 100%. Her confidence and attitude is improving every week plus it is keeping her fit. She has now progressed onto the advanced classes which is pushing he that little bit more and it involves a lot more self-defence training. 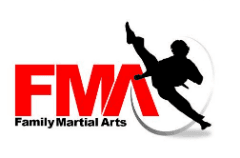 Master rolls and his staff are excellent and very helpful, I would recommend it to any family who are looking into starting martial arts". "My daughter started last year she was very shy and lacked confidence. Over the years She has tried gymnastics dance drama and tennis only lasting a few weeks. Martial arts is the first thing she has ever committed too and she looks forward going every week. Big thank you to Master Rolls for encouraging her to believe in herself, she is now such a happy energetic and strong teenager full of confidence. She has a goal now and wants to become a black belt. Thank you FMA what you have done for her is priceless". "Love it here ! Professional and friendly at all times. My kids and I can train at the same time as me which I love. Everyone is treated with respect its not just somewhere for the kids to run around for an hour. As well as learning various Martial Arts they also learn important life skills at each lesson! We have now signed up to the Blackbelt leader program and cant wait to take the next steps on our journey to becoming a family of blackbelts ! Xoxo". "My daughter Alysha started in october and loves it, she has moved into the advanced classes and is learning a lot of cool stuff and really enjoys it, her confidence has come on loads. The staff are very helpful and polite and will help in anyway they can. There is a great atmosphere and i would recommend it to anyone who wants to learn martial arts." "There is a great atmosphere"
"Started training at FMA a couple of weeks ago and haven't looked back. Training with my eldest son who's 7 has been great and seeing my youngest who's 4 train in the little leaders class is amazing. The boys love the lessons and seeing them learn martial arts and self defence is priceless. The club is very professional and well run." "The boys love the lessons"
"Our daughter joined A month or so ago and absolutely loves it (she's 6) Master Rolls and his team are great. She initially joined to get fit, her confidence has grew enormously and her health has massively improved so far (she has asthma) she goes twice a week every week and doesn't want to miss any at all. Couldn't recommend this more highly." "Couldn't recommend this more highly"